Adverts with cute animals and talking vegetables are creeping into the television schedules, children are counting the number of sleeps until Christmas and fairy lights are springing up in ever more unexpected places. Bring on the baubles: If your Christmas tree decorations need an update, clear ones filled with gin are the latest festive trend. Made from a specially treated, shatter-proof plastic, the baubles are not only ingenious but useful in a gin emergency if family relations get a bit strained (or is that just us at Michael Graham?) Online retailer Not on The High Street fill theirs with a double measure of pink gin. Gin-gle bells. Styling the Christmas tree: If you’re missing the heady, summer festival vibe, this trend could be for you. John Lewis have predicted the biggest Christmas hit of the year to be the Rainbow Christmas tree. Get the look by graduating a spectrum of different coloured baubles from the top to the bottom of the tree. Psychedelic. Dressing the table: Aiming for an Instagram-worthy Christmas table? Home Design specialists at John Lewis are currently offering ‘Colour my Christmas’ masterclasses, all completely free of charge. Choose from Amber, Ruby and Emerald as your theme and get creative with striking centrepieces, table runners and furry cutlery bags for a setting worthy of the turkey. Christmas markets: Here at Michael Graham we’d choose a shopping trip with mulled wine, carol singers, and twinkly lights over Amazon every time. 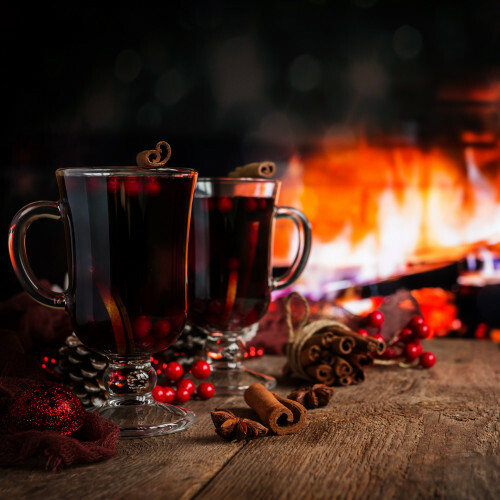 We especially love the Akeley Wood School German Christmas market (you’ll forget you’re in leafy Buckinghamshire) where adults can tuck in to traditional German food and drinks while little ones visit Santa in his grotto or grab a ride on his sleigh. Free entry, Saturday November 24th 11am – 3pm. National Trust properties Stowe and Waddesden also have Christmas markets from now until the 16th December with handcrafted, artisan goods galore. Waddesdon call their market a carnival, and for good reason. Illuminated from dusk, The Manor is a spectacular sight, and the magical light trail around the Aviary gardens is sure to get you in a holly jolly mood.